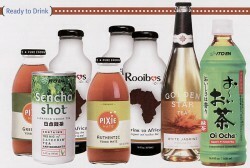 Get Ready For Spring with Our Japanese Style Teas! SPRING is almost upon us! In our anticipation of the first day of Spring, Sunday, March 20th, w. . . Happy New Year! 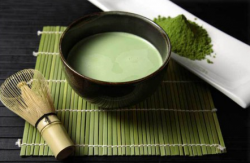 During the month of January we are offering: 20% OFF Organic K. . .
Matcha, the shade-grown powdered tea at the center of the Japanese tea ceremony, is experiencing a global resurgence. In the U.S., consumer interest i. . .
Market research firm Canadean recently released a report underscoring the growth of RTD tea globally. In particular, growth has been driven by markets. . . Continuing our parent company’s history as a world leader in specialty tea, Firsd Tea has been pleased to serve U.S. customers during the course of . 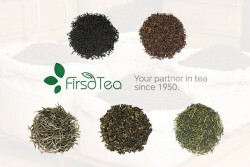 . .
We are pleased to announce the launch of a new Firsd Tea website at www.FirsdTea.com! This is part of a larger communications initiative that we are e. . . Happy holidays! To usher in the holiday season, we are launching the first of what will become a serial discount wholesale tea promotion- Tea of the M. . .
Coffee vs. Tea, the age old opinionated battle hits as close to the heartstrings as cats vs. dogs. 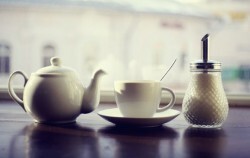 Many coffee drinkers are adamantly “coffee on. . .
WHAT TYPE OF TEA ARE YOU: Red Tea? Red Tea | 红茶 | Hóng Chá Originally called red tea by the Chinese, to represent the apple red color of the tea liquor when brewed, this te. . .